​ I am a third year graduate student at the University of Florida. I spent my undergraduate years at Brown University, working on salt marsh experimental community ecology. I graduated in 2015, and received a B.Sc. with Honors in Ecology and Evolutionary Biology. 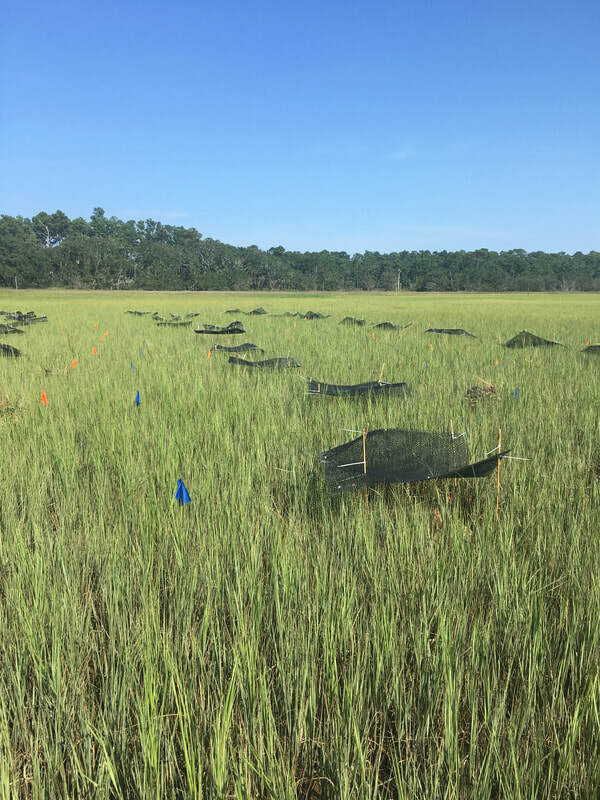 ​ Within southeastern US salt marshes, I am currently working on elucidating the landscape and local scale drivers of ribbed mussel spatial patterning and the consequences for ecosystem function. 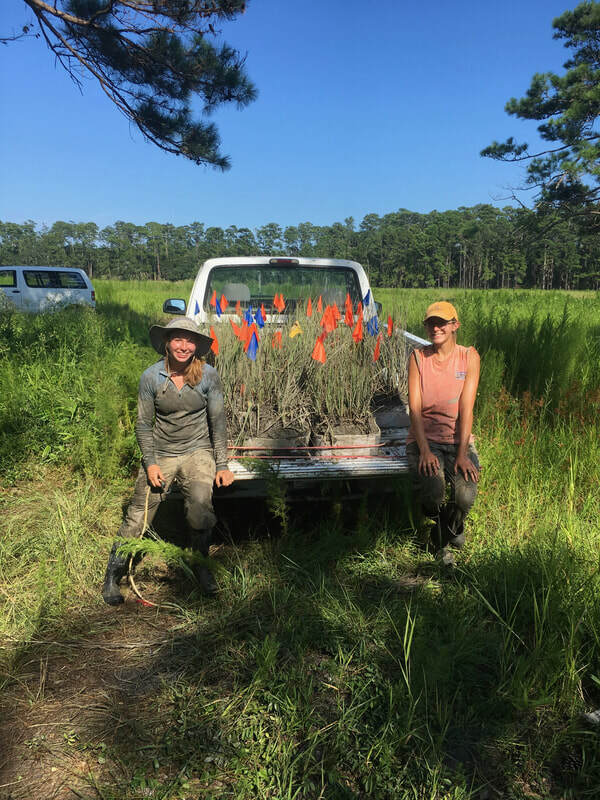 ​​ ​Within sand dune systems in the southeast, I am interested in the role of foundation species in driving recovery and future resilience to storm events across physical stress gradients. 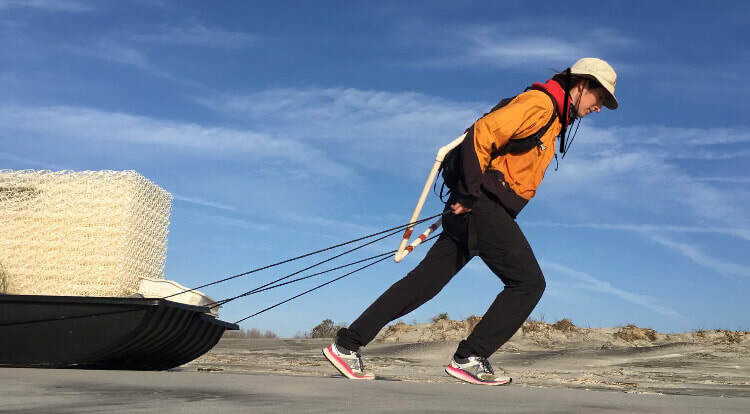 Sand dune systems along the Georgia and Florida coast were heavily damaged by the combination of Hurricane Matthew in 2016 and Irma in 2017. In response, I designed a set of experiments to test the role of foundation species identity, density, and spatial configuration in controlling sand dune recovery rates along a physical stress gradient. 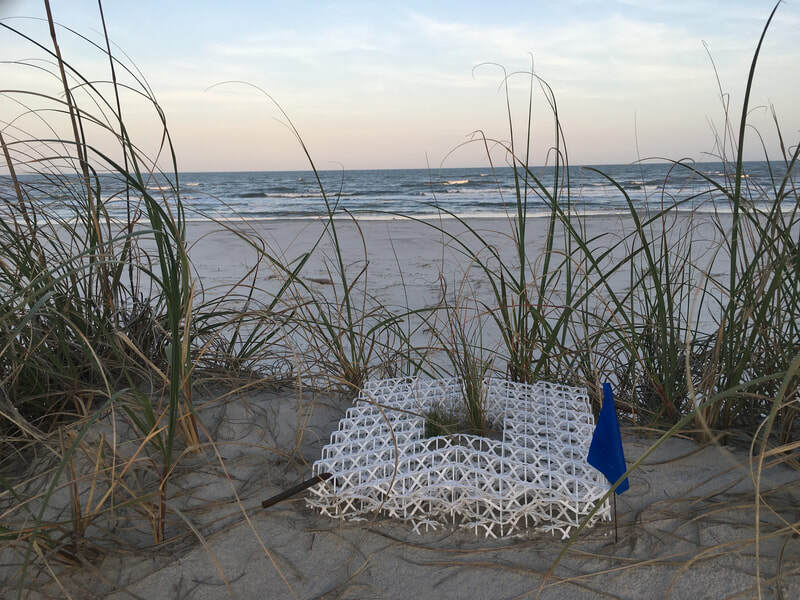 As part of this experiment, I additionally deployed Biodegradable Ecosystem Elements (BESE) above and below-ground to quantify the role of physical structure in supporting the establishment and growth of dune-building grasses with differing growth strategies. Finally, I am involved in collaborative work investigating the role of post-storm wrack communities and plant biodiversity in supporting foundation species' recovery and dune re-growth along the Florida and Georgia coast. I am currently studying the landscape and local scale spatial patterns of ribbed mussel aggregations, the drivers of this community patterning, and its consequences for ecosystem biodiversity, stability, and function. 1. Crotty, S., Sharp, S., Bersoza, A., Prince, K., Cronk, K., Johnson, E. and Angelini, C. (2018), Foundation species patch configuration mediates salt marsh biodiversity, stability and multifunctionality. Ecol Lett, 21: 1681-1692. 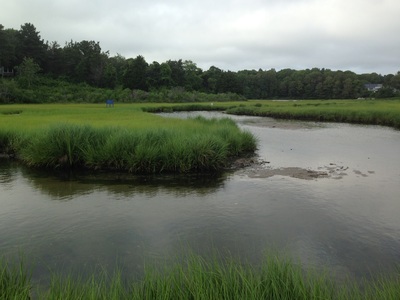 Salt marsh die-off in New England occurs when local predator populations are depleted, releasing the herbivorous marsh crab (​Sesarma reticulatum) from consumer control. This leads to overgrazing of cordgrass and creek bank erosion. My previous work has looked at its spread southward from Cape Cod, MA into Narragansett Bay, RI. 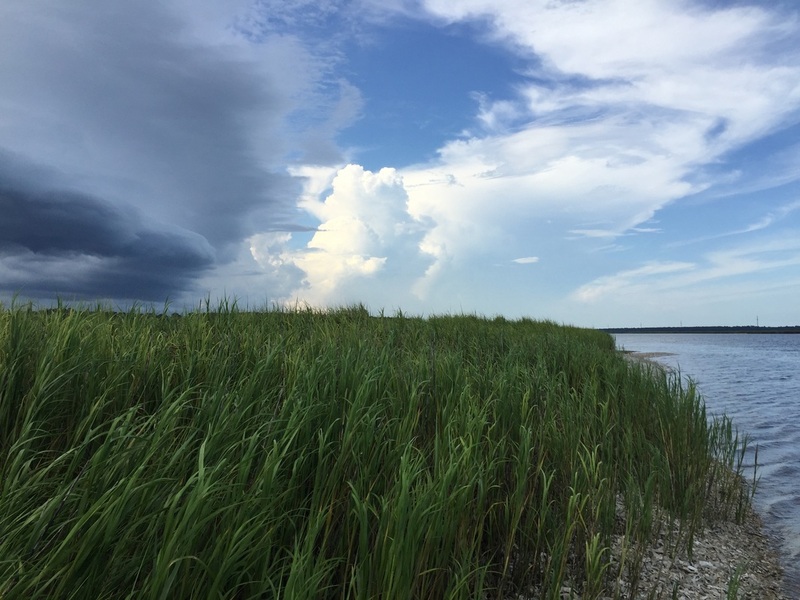 My most recent work has quantified past and future interactions between this die-off and sea level rise, generating predictions for marsh loss with and without local management intervention. 1. Bertness, M., Brisson, C., Coverdale, T., Bevil, M., Crotty, S. and Suglia, E. (2014), Experimental predator removal causes rapid salt marsh die-off. Ecology Letters, 17: 830-835. 2. 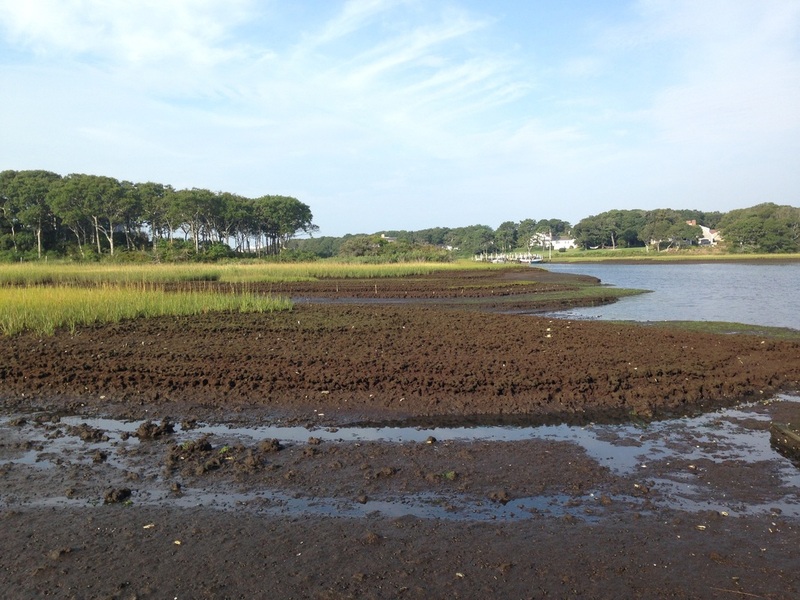 Bertness, M., Brisson, C., Bevil, M. and Crotty, S. (2014), Herbivory drives the spread of salt marsh die-off. Plos One 9: e929163. 3. Chen, H., Hagerty, S., Crotty, S. and Bertness, M. (2016), Direct and indirect trophic effects of predator depletion on basal trophic levels. Ecology, 97: 338–346. ﻿Positive interactions are ubiquitous traits of ecosystems, yet are undervalued in many general ecological theories. My undergraduate honors thesis addressed this issue with a community wide test of the stress gradient hypothesis across both a physical and a biological stress gradient on a cobble beach in Narragansett Bay, RI. Experimental results were then used to help incorporate the predictions of the stress gradient hypothesis into niche theory. Other relevant work in this area experimentally tested how indirect human impacts decrease ecosystem resilience through turning off vital positive interspecific interactions. 1. Crotty, S. and Bertness, M. (2015), Positive interactions expand habitat use and the realized niches of sympatric species. Ecology, 96: 2575–2582.